Creamy Mascarpone & Tomato Stir-in Sauce. Our Italian family has been making Pesto & Pasta Sauce for generations and this is a delightfully authentic Italian Tomato & Mascarpone Intenso sauce for your pasta. Blended Italian tomatoes with mascarpone cheese and a hint of garlic creates this smooth sauce that melts in your mouth, which can be simply stirred into pasta. Add some Italian pizzazz and lightly coat your pasta with this rich & thick authentic Italian recipe. 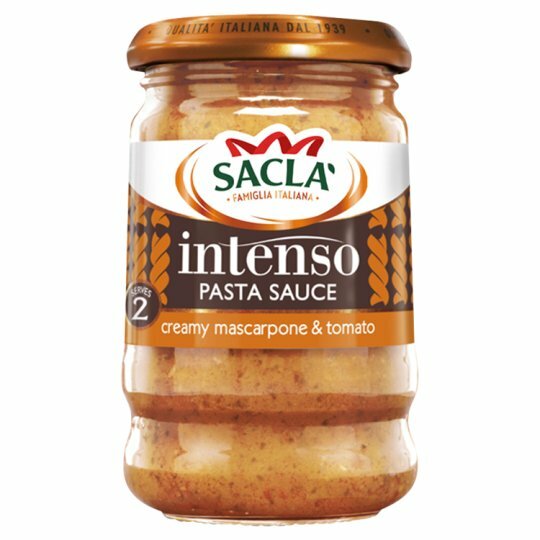 No need to heat, simply stir 1/2 jar into 100g hot pasta and serve.